Mahatma Gandhi, among many other things, was a guiding light for many businesses as well. So we thought we would collect some fun-facts about the Mahatma’s connection with businesses. 1.) The pocket watch that Mahatma Gandhi used to carry was from Ingersoll. It was popularly known as the ‘Dollar Watch’. He had another pocket watch from Zenith that was gifted to him by Indira Gandhi. 2.) Mahatma Gandhi helped establish three football clubs in Durban, Pretoria and Johannesburg, all of which were named Passive Resisters Soccer Club. 3.) Mahatma Gandhi adopted Jamnalal Bajaj, founder of the Bajaj Group, as his son. 5.) Apple’s Think Different campaign featured Mahatma Gandhi. 6.) Mont Blanc launched The Mahatma Gandhi Limited Edition 241 a few years ago. It is an homage to the 241 miles traveled by Gandhi on the Salt March from Ahmedabad to the coast. 7.) 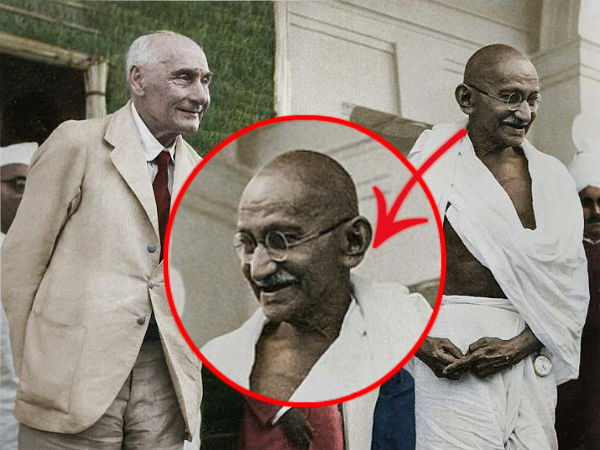 Telecom Italia used video footage from Mahatma Gandhi’s life in its advertisements. 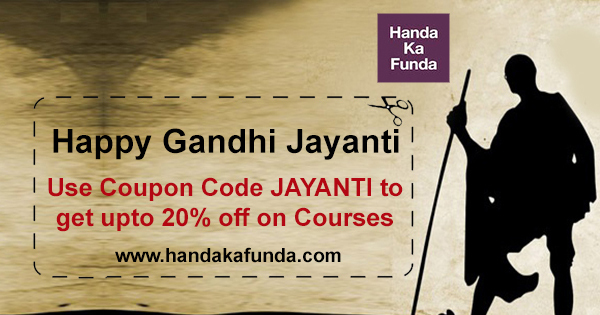 The coupon code is valid on all courses on the Handa Ka Funda website. On CAT 2018 courses, it offers 20% off whereas on others it offers 10% off. You can directly jump to the required pages from the buttons given below. You can use coupon code JAYANTI on those courses.